A key part of our work is monitoring the impact of government policy on families in communities. This is achieved through regular consultation with member agencies, key external agencies including the Ministry of Social Development and the Office of the Children’s Commissioner. 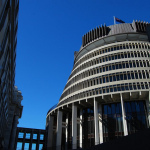 We regularly produce reports, submissions on new legislation, and carry out research with our members on the best ways to support New Zealand families. Also check out Policy Watch, a regular blog that critiques government policies through a social justice lens. The impact of policy changes on Christian social services and the families they work with is monitored Vulnerability Report, which brings together feedback from our agencies with data from key government agencies. To view our archive of work visit the publications library.